I rarely take monkey photos in Asia, but I couldn’t resist this one. This little guy’s on the main terrace at Angkor Wat. The monument’s huge, so even our simean friends need an energy boost to keep exploring it. This is no exaggeration–these are pictures 1271 and 1273 within the same file. So these images bracketed me. 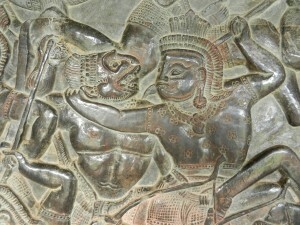 The scene’s of the final battle in the Ramayana, in which the monkey general, Hanuman, and his warriors help Rama regain his kingdom. Did they get a caffeine jolt before the fray? In many cultures, monkeys have two different meanings. They have symbolized vitality and appetite, and several cultures have associated them with wanton sexuality. But they have also symbolized intelligence. Monkeys are both unlike and like civilized humans. So their meanings have been complex ,and the Ramayana combined both into images that artists all over southern Asia have produced. 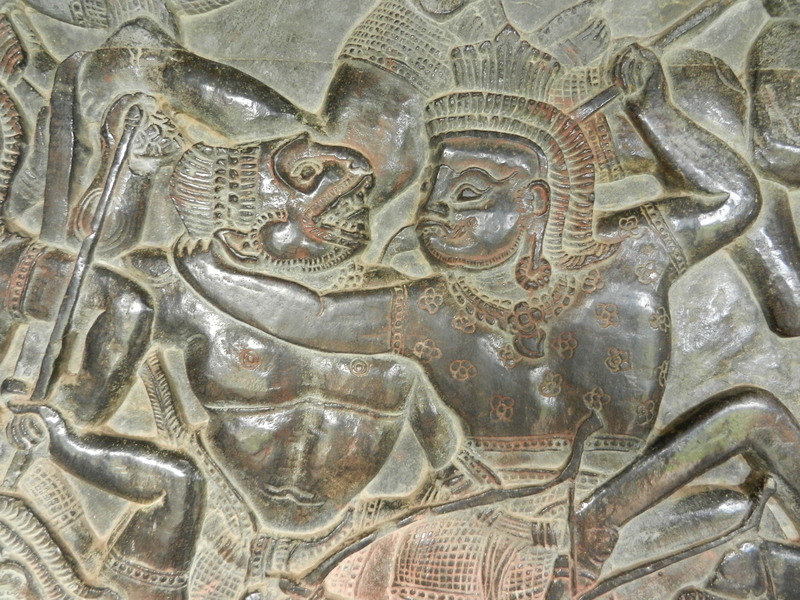 Khmers loved action scenes, and the monkeys help project Angkor Wat’s majestic power. 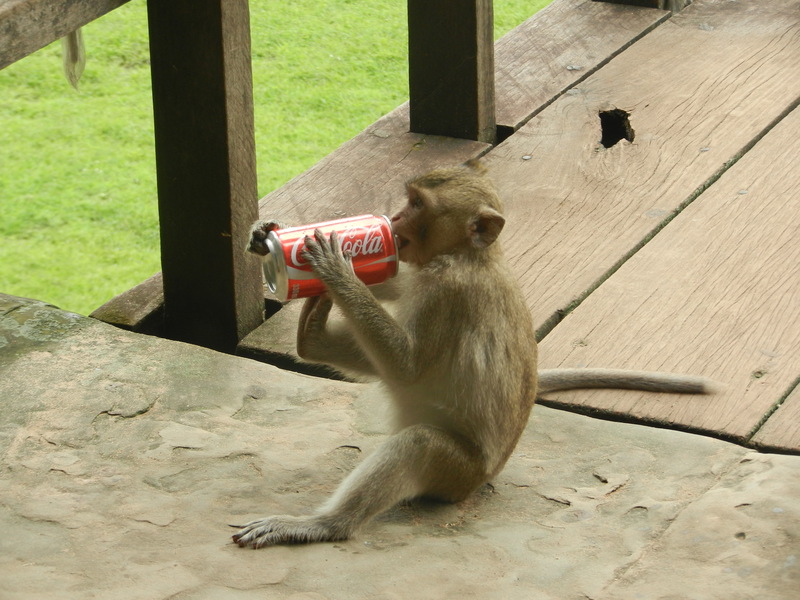 The real monkeys were mellow, but if they keep ingesting American junk food, will they become as ornery as the ones in Angkor Wat’s carvings? 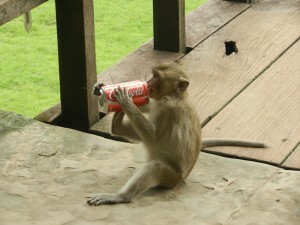 The photo of the monkey drinking the Coca Cola made my day. So cute. I’ve always wanted to visit Angkor Wat. Hopefully I’ll get the chance one day! If I do, I’ll bring a Coca Cola for the caffeine boost. Make sure you drink enough for the energy to see the Bayon too. It’s almost as amazing.